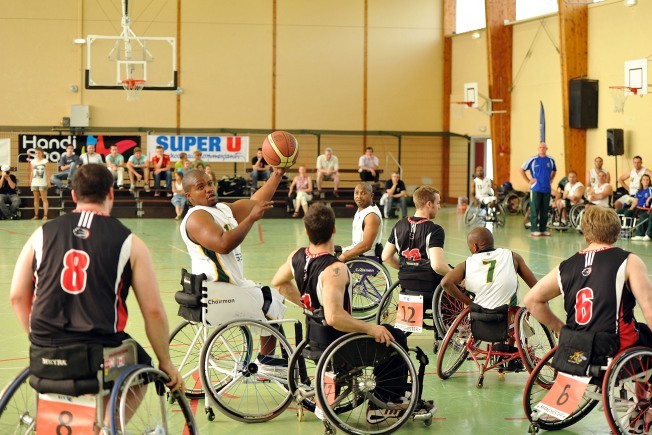 Players will compete in a wheelchair basketball game at American University Thursday night to benefit wounded veterans. The game will pit wounded veterans from local hospitals against the National Rehabilitation Hospital Ambassadors team. It's a rematch of last year's game, with the NRH Ambassadors looking to defend their title. American University's chapter of the Pi Kappa Phi fraternity will host the event for the third time this year. They've raised more than $10,000 over the past two years for their philanthropy, Push America, and the the United States Olympic Committee's Paralympic Military Program. The group's new goal is to raise that much this year alone, said AU student Nameir Abbas, the event's chairman. You can catch the game at Bender Arena on the AU campus Thursday, March 29 at 7 p.m. Admission is free, with a $5 suggested donation at the door.